Tis the time of the year for mice, it seems…. well, actually, we get mouse calls years round – but at this time of the year, as the weather starts to get cooler, we do tend to see a major upswing in the number of calls. And of course, Ross is happy to come out and deal with them for you. Not only will he provide you with whatever baits are needed, but he will also do a site survey and help you to sort out what needs to be done to solve the problem so that you won’t need to keep having him back. Not that we don’t like having to go back to see our customers regularly, of course! 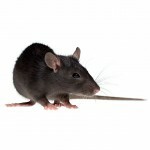 But it’s cheaper – and cleaner and less aggravating – to have your pest problems solved properly the first time whenever possible, and that is what we prefer to do.